"the effects of a self-denying Puritanical religion and much past hardship understandably colour Welsh attitudes to their native cookery. Even today a discussion of the subject is apt to generate a surprising amount of heat – I have been treated to more than one lecture on the frivolity of studying the history of Welsh food!'" ^ Freeman, Bobby (1996). First catch your peacock: her classic guide to Welsh food (Rev. paperback ed.). Talybont, Ceredigion: Y Lolfa. pp. 8, 52–53. ISBN 0862433150. ^ a b c Freeman 1996, p. 14. ^ a b Freeman 1996, p. 15. ^ a b c d Davidson 2014, p. 858. ^ a b c Freeman 1996, p. 18. ^ Freeman 1996, p. 35. ^ Freeman 1996, p. 48. ^ Ireland, Richard (2015). “The eighteenth century”. Land of White Gloves? : A History of Crime and Punishment in Wales Volume 4 of History of Crime in the UK and Ireland. Routledge. p. 46. ISBN 978-1-135-08941-2. https://books.google.co.uk/books?id=OsEqBwAAQBAJ 2016年4月5日閲覧。. ^ Gower, Jon (2012). “Chapter 19: Revolt and unrest”. The Story of Wales. Random House. p. 228. ISBN 978-1-4464-1710-2. https://books.google.co.uk/books?id=0mqJesC_NG4C 2016年4月5日閲覧。. ^ Bohstedt 2016, p. 174. ^ Bohstedt 2016, p. 181. ^ Howell, D. W.; Baber, C. (1993). “Wales”. In Thompson, F. M. L. The Cambridge Social History of Britain, 1750–1950, Volume 1 (illustrated, reprint, revised ed.). Cambridge University Press. pp. 283–296. ISBN 978-0-521-43816-2. https://books.google.co.uk/books?id=1x-OEg8f1ykC&dq 2016年4月5日閲覧。. ^ Kearney, Hugh (1995). “The Britannic melting pot”. The British Isles: A History of Four Nations (illustrated, reprint, revised ed.). Cambridge University Press. p. 217. ISBN 978-0-521-48488-6. https://books.google.co.uk/books?id=fTsbUhAk-LcC 2016年4月5日閲覧。. ^ Thomas, J. E. (2011). “An intellectual basis of protest?”. Social Disorder in Britain 1750–1850: The Power of the Gentry, Radicalism and Religion in Wales. I. B. Tauris. pp. 96–97. ISBN 978-1-84885-503-8. https://books.google.co.uk/books?id=vibw_vYAxeIC 2016年4月5日閲覧。. ^ Jenkins, Philip (2014). “Welsh politics in the Eighteenth Century”. A History of Modern Wales 1536–1990 (Revised ed.). Routledge. p. 179. ISBN 978-1-317-87269-6. https://books.google.co.uk/books?id=zmKuBAAAQBAJ&dq=welsh+food+riots&source=gbs_navlinks_s 2016年4月5日閲覧。. ^ Heyck 2002, p. 44. ^ Richards, Greg (2003). Hjalager, Anne-Mette. ed. Tourism and Gastronomy. Routledge. p. 118. ISBN 978-1-134-48059-3. ^ Loury, Glenn C.; Modood, Tariq; Teles, Steven M. (英語). Ethnicity, Social Mobility, and Public Policy: Comparing the USA and UK. Cambridge University Press. p. 415. ISBN 978-1-139-44365-4. https://books.google.co.uk/books?id=usCZdjje1zMC. ^ a b c Freeman 1996, p. 8. ^ Freeman 1996, p. 51. ^ Davies, John; Jenkins, Nigel; Baines, M.. Food and drink (Online ed.). 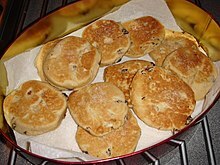 The Welsh Academy Encyclopedia of Wales.. http://literati.credoreference.com/content/entry/waencywales/food_and_drink/0. ^ a b Freeman 1996, p. 20. ^ Freeman 1996, pp. 20–21. ^ Freeman 1996, p. 22. ^ Freeman 1996, p. 26. ^ Davies, John; Jenkins, Nigel; Baines, M. Cattle (Online ed.). The Welsh Academy encyclopedia of Wales. http://literati.credoreference.com/content/entry/waencywales/cattle/0. ^ Freeman 1996, pp. 35–36. ^ Davies, John; Jenkins, Nigel; Baines, M. Pigs (Online ed.). The Welsh Academy encyclopedia of Wales. http://literati.credoreference.com/content/entry/waencywales/pigs/0. ^ a b c d Davies, John; Jenkins, Nigel; Baines, M. Sheep (Online ed.). The Welsh Academy encyclopedia of Wales.. http://literati.credoreference.com/content/entry/waencywales/sheep/0. ^ a b Freeman 1996, pp. 37–38. ^ Freeman 1996, p. 40. ^ a b Davies, John; Jenkins, Nigel; Baines, M. Fish and Fishing (Online ed.). 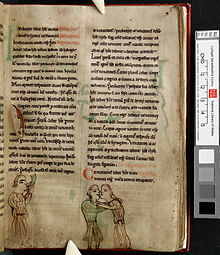 The Welsh Academy encyclopedia of Wales. 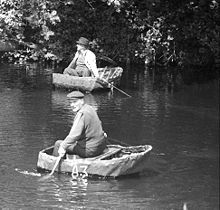 http://literati.credoreference.com/content/entry/waencywales/fish_and_fishing/0. ^ a b Freeman 1996, pp. 41–42. ^ Freeman 1996, p. 61. ^ Freeman 1996, p. 55. ^ Freeman 1996, p. 67. ^ Freeman 1996, p. 43. ^ Freeman 1996, pp. 30–31. ^ Freeman 1996, p. 31. ^ Davies & Jenkins 2008, p. 137. ^ Freeman 1996, pp. 27–28. ^ Freeman 1996, p. 29. ^ Freeman 1996, p. 44. ^ a b c Minahan, James (2009). The Complete Guide to National Symbols and Emblems [2 Volumes] (illustrated ed.). ABC-CLIO. p. 572. ISBN 978-0-313-34497-8. https://books.google.co.uk/books?id=jfrWCQAAQBAJ&dq=glamorgan+sausage&source=gbs_navlinks_s. ^ Freeman 1996, p. 45. ^ Freeman 1996, pp. 46–47. ^ Freeman 1996, p. 106. ^ a b c Webb 2012, p. 68. ^ a b Davidson 2014, p. 224. ^ Cotter, Charis (2008). “Meats”. One Thousand and One Foods (illustrated ed.). Anova Books. p. 545. ISBN 978-1-86205-785-2. ^ a b Breverton, Terry (2012). “Food”. Wales: A Historical Companion. Amberley Publishing Limited. ISBN 978-1-4456-0990-4. https://books.google.co.uk/books?id=I2qoAwAAQBAJ. ^ a b Davidson 2014, p. 154. ^ National Trust (2007). Gentleman's Relish: A Compendium of English Culinary Oddities (illustrated ed.). Anova Books. p. 80. ISBN 978-1-905400-55-3. https://books.google.co.uk/books?id=cRcQizr0uy8C. ^ Grumley-Grennan, Tony (2009). The Fat Man's Food & Drink Compendium. ISBN 978-0-9538922-3-5. https://books.google.co.uk/books?id=FRT9AgAAQBAJ. ^ Imholtz, August; Tannenbaum, Alison; Carr, A. E. K (2009). Alice Eats Wonderland (Illustrated, annotated ed.). Applewood Books. p. 17. ISBN 978-1-4290-9106-0. https://books.google.co.uk/books?id=PPhGid-3aigC. ^ Reich, Herb (2013). Don't You Believe It! : Exposing the Myths Behind Commonly Believed Fallacies. Skyhorse Publishing Inc.. ISBN 978-1-62873-324-2. https://books.google.co.uk/books?id=O8YtAgAAQBAJ. ^ Hadoke, Mike; Kerndter, Fritz (2004). Langenscheidt Praxiswörterbuch Gastronomie: Englisch-Deutsch, Deutsch-Englisch. Langenscheidt Fachverlag. p. 90. ISBN 978-3-86117-199-7. ^ O'Connor, Kaori (December 2009). “THE SECRET HISTORY OF 'THE WEED OF HIRAETH': LAVERBREAD, IDENTITY, AND MUSEUMS IN WALES”. Journal of Museum Ethnography (Museum Ethnographers Group) (22): 83. JSTOR 41417139. ^ Lewis-Stempel, John (2012). Foraging The Essential Guide to Free Wild Food.. London: Hachette UK. ISBN 978-0-7160-2321-0. https://books.google.co.uk/books?id=MRmfBAAAQBAJ. ^ Johansen, Mariela; Mouritsen, Jonas Drotner; Mouritsen, Ole G (2013). Seaweeds : edible, available & sustainable (illustrated ed.). Chicago, IL: University of Chicago Press. p. 152. ISBN 978-0-226-04436-1. https://books.google.co.uk/books?id=8BFIfxX_x_UC 2016年4月7日閲覧。. ^ Ayto, John (2012). The Diner's Dictionary: Word Origins of Food and Drink (illustrated ed.). OUP Oxford. p. 153. ISBN 978-0-19-964024-9. https://books.google.co.uk/books?id=NoicAQAAQBAJ. ^ Allen, Gary (2015). Sausage: A Global History. Reaktion Books. ISBN 978-1-78023-555-4. https://books.google.co.uk/books?id=nz0pCgAAQBAJ. ^ Davidson 2014, p. 365. ^ Roufs, Timothy G.; Roufs, Kathleen Smyth (2014). Sweet Treats around the World: An Encyclopedia of Food and Culture: An Encyclopedia of Food and Culture. ABC-CLIO. p. 375. ISBN 978-1-61069-221-2. ^ Ayto, John (2012). The Diner's Dictionary: Word Origins of Food and Drink (illustrated ed.). OUP Oxford. p. 393. ISBN 978-0-19-964024-9. https://books.google.co.uk/books?id=NoicAQAAQBAJ. ^ Hensperger, Beth; Williams, Chuck (2002). “Welsh Bara Brith”. In Williams, Chuck. Williams-Sonoma Collection: Bread (Illustrated ed.). Simon and Schuster. p. 84. ISBN 978-0-7432-2837-4. https://books.google.co.uk/books?id=-NunR1l045AC 2016年4月5日閲覧。. ^ a b c Freeman 1996, p. 102. ^ a b c Bain, Andrew (2009). Lonely Planet's 1000 Ultimate Experiences (Illustrated ed.). Lonely Planet. p. 291. ISBN 978-1-74179-945-3. https://books.google.co.uk/books?id=IZBcCIixzIIC 2016年4月5日閲覧。. ^ Davidson 2014, p. 62. ^ Webb 2012, p. 74. ^ Freeman 1996, p. 47. ^ a b c Davies & Jenkins 2008, p. 57. ^ Freeman 1996, pp. 263–264. ^ Davies & Jenkins 2008, pp. 947–948. ^ Davies, John; Jenkins, Nigel; Baines, M. Vineyards (Online ed.). The Welsh Academy encyclopedia of Wales.. http://literati.credoreference.com/content/entry/waencywales/vineyards/0. ^ Freeman 1996, p. 19. ^ a b c d Freeman 1996, pp. 52–53. Colquhoun, Kate (2008) . Taste: The Story of Britain through its Cooking. Bloomsbury. ISBN 978-0-7475-9306-5. Freeman, Bobby (1996). First catch your peacock : the classic guide to Welsh food (Rev. paperback ed.). Talybont, Ceredigion: Y Lolfa. ISBN 0-86243-315-0. https://books.google.co.uk/books?id=-gwkXuzJOPQC. Davidson, Alan (2014). Jaine, Tom. ed. The Oxford Companion to Food (Illustrated ed.). Oxford University Press. ISBN 978-0-19-967733-7. https://books.google.co.uk/books?id=RL6LAwAAQBAJ. Heyck, Thomas William (2002). A History of the Peoples of the British Isles, Volume 3 (Illustrated ed.). Psychology Press. ISBN 978-0-415-30233-3. https://books.google.co.uk/books?id=gq84779CwC0C. Bohstedt, John (2016). The Politics of Provisions: Food Riots, Moral Economy, and Market Transition in England, C. 1550–1850. Routledge. ISBN 978-1-317-02020-2. https://books.google.co.uk/books?id=8x6gCwAAQBAJ. Webb, Andrew (2012). Food Britannia. Random House. ISBN 978-1-4090-2222-0. https://books.google.co.uk/books?id=FBMLFM305MEC 2016年4月5日閲覧。.